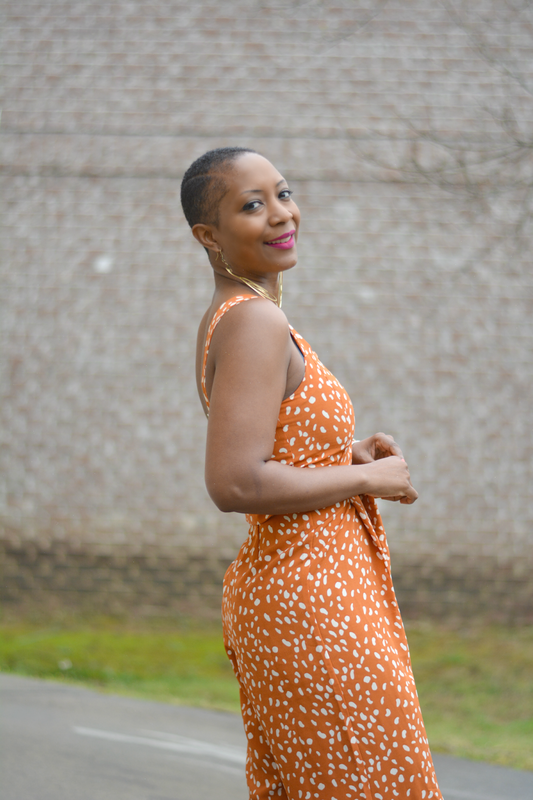 The We Dress America campaign is a ground breaking new fashion campaign that caters to all. No matter where you live or your style. Walmart has a fashion find for you. It doesn't discriminate and the prices are pretty affordable. This jumpsuit speaks to my personal style. It's currently on sale making it even more of a steal. Glad I nabbed one before they're gone! This is the second outfit I chose from the spring collection. 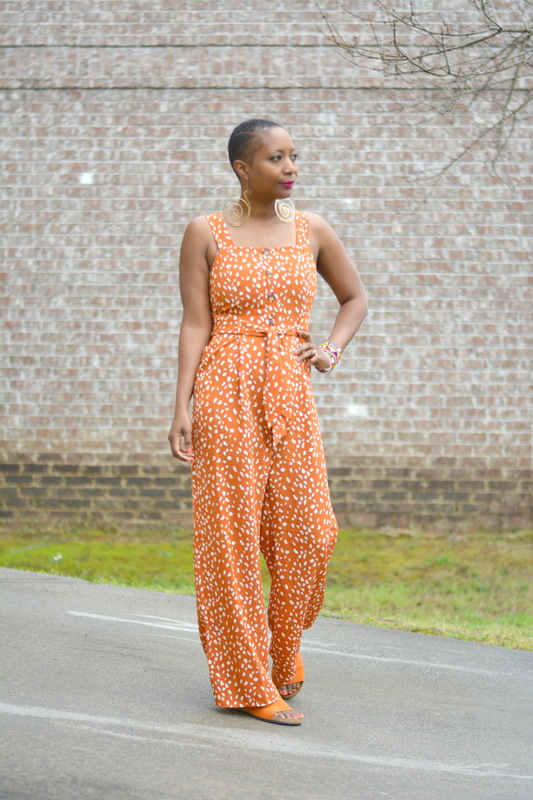 I scrolled through jumpsuits and rompers and fell in love with the color of the Animal Button Pinny Jumpsuit. The orange color is muted and has some brown to it so it's not super loud and blends well with my skin tone. I was thrown off a little bit by the styling on the website but I really like how it looks on me. I like the wide legged palazzo pant bottom and the simple pleats at the waist that nip in the waist. I paired it with bold earrings that are so big they serve as my necklace too. I threw on a couple of colorful bracelets to inject a little more color and layers to the look. It was such a welcome change to not have to wear heels or alter the length of the pant legs so I kept my sandals flat and easy. They slide on and are very comfortable. 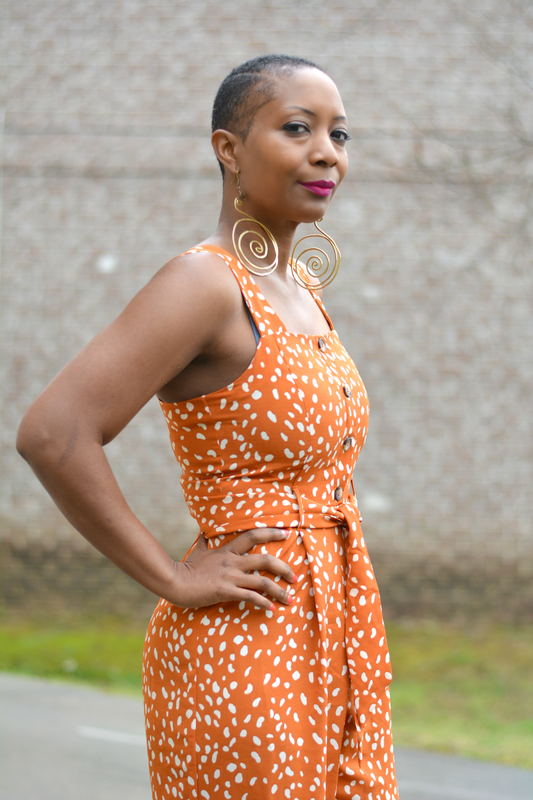 The color blends well with my jumpsuit which was a bit of thrift serendipity. Have you seen checked out Walmart's Spring Fashion Collection?